The longer I have this (MS), the more it intrudes on me. In the beginning, it was convenient and easy to deny its existence. Now, it’s hard to find the line where it stops and Nicole starts! It seems as if I’m constantly being required to yield to it! It’s the cloud that overshadows my life, constantly threatening to reek havoc on whatever I plan. It’s so big now I have to remind myself to exercise who I am. For that reason, I went to a parade in NEW ORLEANS, in my wheelchair, with my damn MS. I managed to dismiss the awkward stares. I tolerated New Orleans’ bumpy roads. I had extra “protection” if need be. I was ready! I admit. There is something strange about me asking you to clear the path for my wheelchair. Especially amidst the passing parade! But we did! And they jumped to attention and moved. But I must give you your due respect. I understand many of you have literally camped out for those prime spots on Saint Charles Avenue. Honestly, I would be a bit grumpy too! I’m not the first seemingly young looking person to be in a wheelchair. Plus, It’s just MS. It’s just MS. At its, worst it’s often a HUGE hassle. My cross to bear. My slow motion stroke. My Inconvenient Truth. Also, I recently started a new MS medication. It always brings on a medley of emotions. For one, another ounce of hope that maybe this one will be “the one.” Then, on the other hand, you don’t want to get too excited, because the let down is sometimes worst than the disease. In turn, I try to stay as objective as possible, but mix in a little Christian faith buffered with a tad of Buddhist acceptance of the present moment. My cloud and I went to a birthday paint party. It’s literally a party where you and friends are instructed on how to paint a picture chosen by the birthday girl or boy. The instructor said this was her first time holding a class so large AND for a 36 year old adult! Apparently, my girlfriend knew this. It was her intent to have us painting, sipping wine and having a merry little affair! Slowly, I’m starting to see the line. 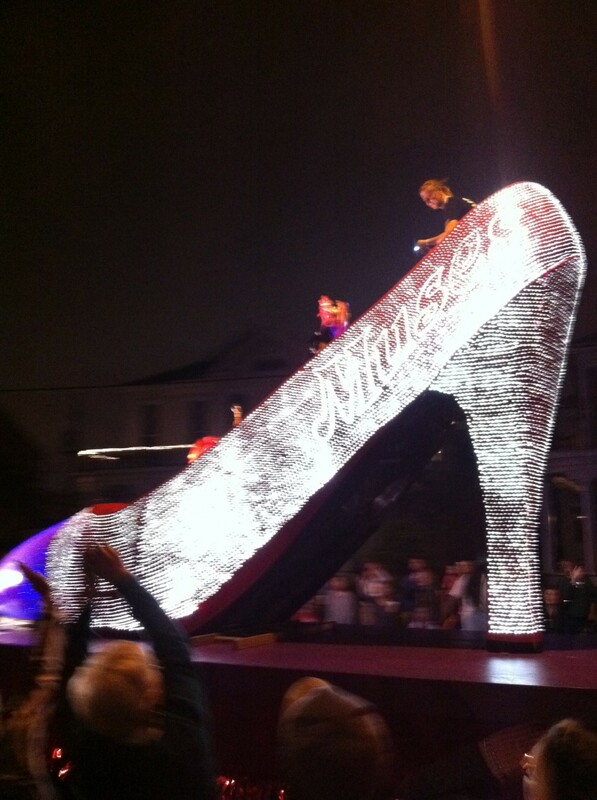 In order to position themselves in key spots to catch beads, they will be there hours before the parade. Nicole, I am 73 years old and have had MS since 1979, but I, like you, started with vision problems and went through a number of exacerbations over the years (mostly vision problems). I was finally diagnosed in 1989. My last exacerbation was in 1992. Since then I have moved into secondary progressive MS and have gone from walking on my own to using a cane to using a walker to using a motorized wheelchair. I’ve been on Avonex, Copaxone, and Ampyra — but since I firmly believe none of them have helped and probably won’t, I am trying to accept the idea that I may soon be even more dependent than I am now. Forgot to mention that I am also a New Orleanian and a Catholic sister, now living in our congregation’s nursing home in Opelousas. I had just celebrated 50 years as a nun and was living in the upper Ninth ward when Katrina flooded our convent and took with her most of my treasured possessions. While I have not gone through all you have experienced, I have felt a bond with you ever since I first read one of your postings on the Internet a few weeks ago. Wow. A “New Orleanian and a Catholic sister” the support you must have is tremendous. I too have probably moved on from RRMS, but I don’t like to acknowledge that. May be part of my favorite coping strategy, don’t know. I’m honored you feel a bond to with me. Let me guess that is was Dig It In that attracted you. I’m really proud of that post. During Katrina I was in Maryland working and for the most part living in the closet with MS. It was hear wrenching watching the footage. So, I called and called. Sent money and whatever else i could do from so far away. Thanks for following me, but most of all thanks for leaving the warm comment. Enjoying your blog! Much love always. Thanks Andrelle!!! This helps a lot!